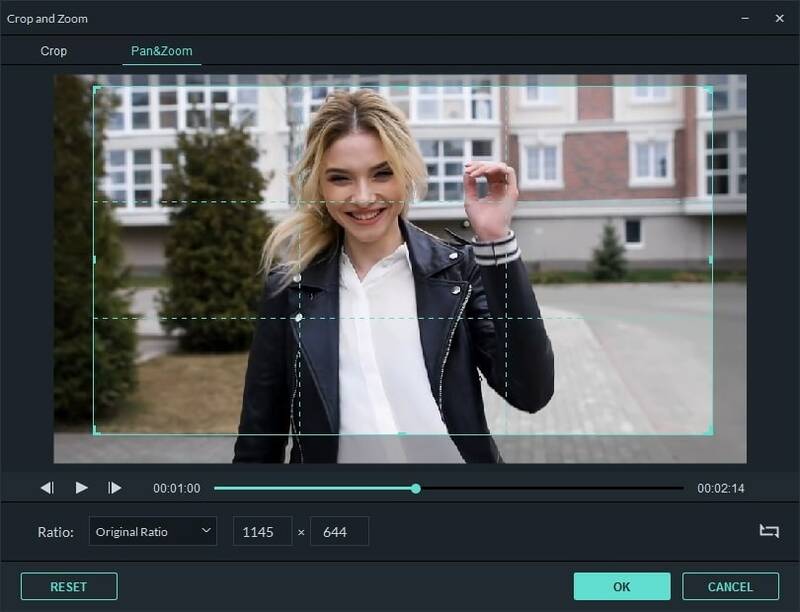 A guide to using Filmora Video Editor. The World is Your Tripod! Pan and Zoom effect, also known as Ken Burns Effect, which is used to apply to the video or image and make it slowly zoom in on the subjects of interest and pan from one subject to another. Please follow below instructions to apply it. 1. Drag and drop the video to the video track (first line of the timeline). 2. Select the video, right click and choose Crop and Zoom. 3. Select Pan and Zoom, you will find two frames marked Start and End appear over the video clip in the viewer. 4. Select the Start frame, drag and resize it until the beginning of the clip is framed the way you need. 5. Select the End frame by following step 4. You can press play button to preview the instant result. If it does not meet your need, you can select Reset to do it again. 6. Press OK button to save the settings. Note: The swap button at the right corner enables you to swap the start and end area instantly. Plus you can apply Pan and Zoom to the photos in the same way.